The club of OnePlus owners has been growing for more than a year now, and the company has amassed a decent amount of loyal followers without even firing a TV or a subway ad, counting on word-of-mouth and guerilla marketing instead. With the newest OnePlus X, it is trying to diversify itself from the big 5.5-inchers it has created so far, and create a more appealing mass-market handset for people that love their phones smaller and good-looking. 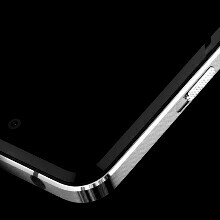 We say good-looking, as the OnePlus X comes with etched metal frame, and two backplate versions - Onyx, which is a polished glass back, and Ceramic, which is what it says on the tin. The firebaked ceramic version will be produced in limited 10,000 units quantity, and is, naturally, more expensive than the regular glass-and-metal OnePlus X. In fact, the standard Onyx version will appear first in Europe on November 5th, and go for EUR 269, while the US will get it November 19th for the lower USD 249 tag. The special Ceramic edition will have a separate invitation system for when it launches in Europe and India starting November 24, coming at the cool EUR 369. Check out the official price, release date, and country availability slides for the OnePlus X below. Not bad,but invite system ruins it. I rather take Meizu or Xiaomi for that price. I can't believe they're so stupid that not only they'll continue using the silly invite system, but also they'll build only 10.000 units of the ceramic model. It could sell like hot cake. can any1 plz mention more specifically how to get an invite for this one?